January 4, 2014 By Tina M 9 Comments This post may contain affiliate links. Read my disclosure policy here. Hello everyone! I hope you had a fabulous Christmas. I decided since we are traveling just about every other weekend, that I would provide a few packing tips today for those traveling with kids. We went to Grandma’s and it was so fun to spend so much time with our Family! I ended up so relieved that we didn’t spend money we didn’t have for Christmas. 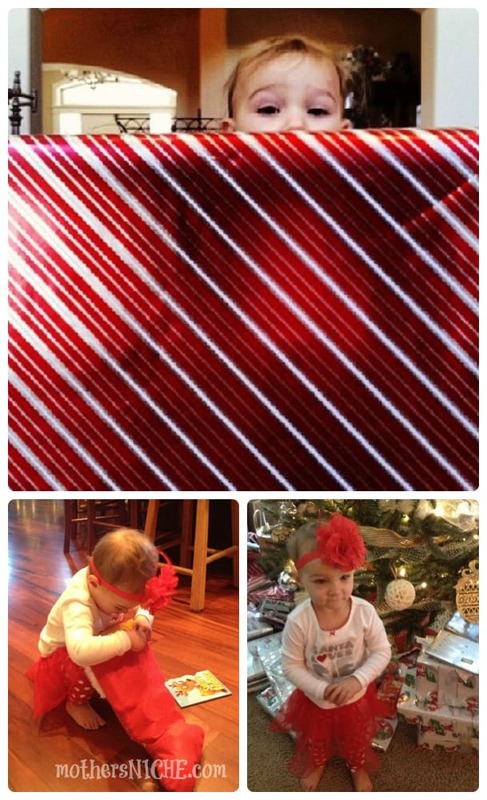 Our toddler opened her one present and then went on living her day happily. Phew! I don’t know why I let myself stress in the first place. She wouldn’t have known any different. The rest of us just enjoyed being together. We also went caroling at a care center which really brought the Christmas spirit into our hearts. 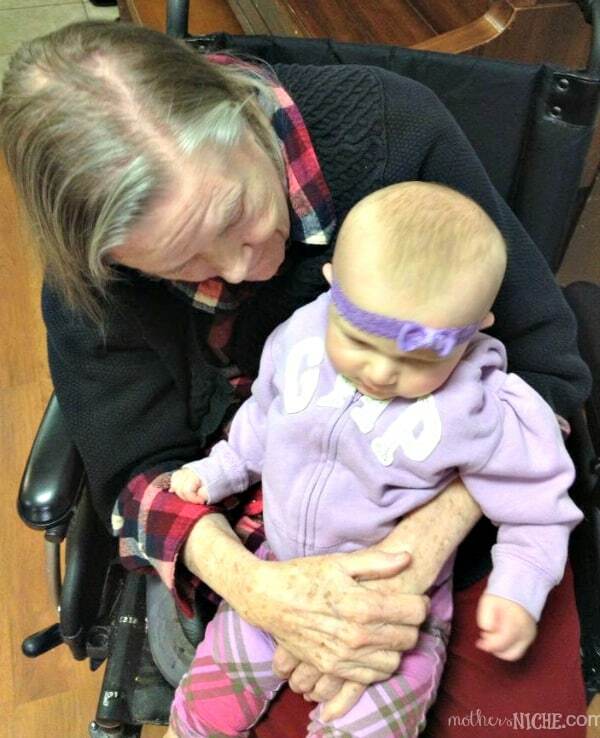 One of the old ladies just wanted to hold and kiss my babies the whole time. I tried really hard not to think about the sicknesses that were going around and just let the lady go at it! I had a prayer in my heart that they would be protected from all the coughing in the room. When we left, one of the caretakers informed us that being able to hold our children was the highlight of that woman’s whole week. 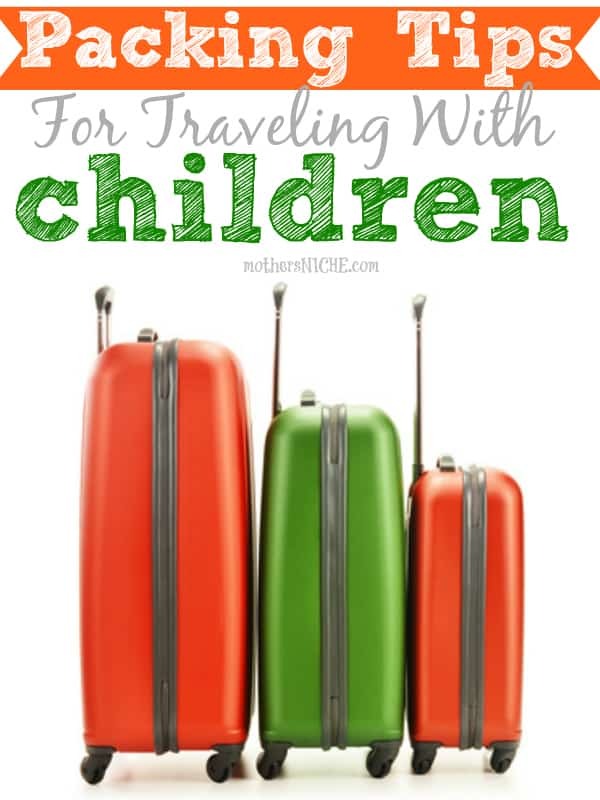 Here are some useful tips for packing and traveling with kids. Try them out on your next road trip! Pack each day in a Ziploc. Packing this way has several benefits: If you kids are old enough to dress themselves they can just grab a bag and go at it! Packing this way also ensures that you brought everything you need for each day. It also helps me to coordinate outfits with socks and hair bows. Pack some garbage bags for dirty laundry. It drives me crazy when clean clothes and dirty clothes get mixed together in our luggage. 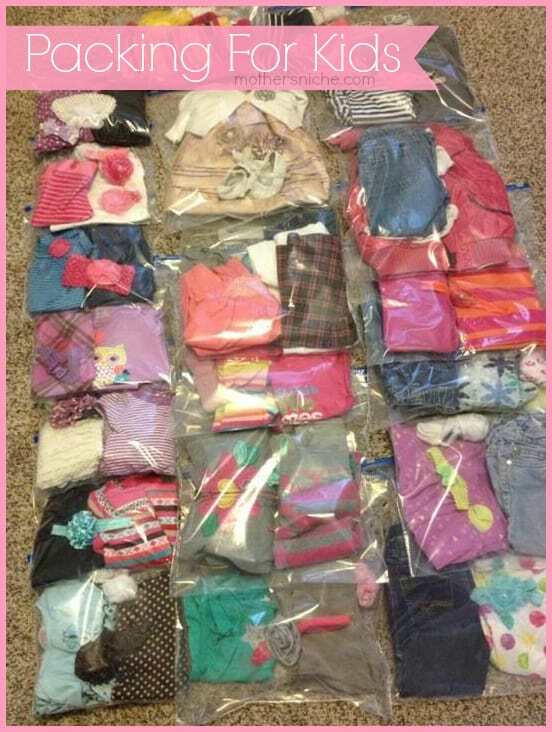 By packing outfits in ziplocs and putting dirty clothes in garbage bags, this never happens! This also leaves your ziploc bags nice and clean so that you can use them over and over. I keep saying ziploc, but I actually used my hefty bags that I got for 50 cents a box (See my post on saving money on groceries). Don’t pay full price for these suckers…you can get the generic zipper bags online for cheaper, and if you’re just using them for packing clothes, you don’t need anything fancy. Pack clothes that mix and match. This SAVED me this time around. I picked a lot of solids or outfits that could coordinate with each other so that when my toddler completely covered her shirt in food or when my baby had a blowout (yes, it happened at least 5 times), it was easy to grab something else to put on without having to change the whole outfit. Packing my own clothes this way also proved beneficial when my own outfit ended up covered in you-don’t-wan’t-to-know. Disposable Bibs. Speaking of spilled food and messes, I also like to buy disposable bibs and keep them in the car for when we are at restaurants and such. I know, I know…that’s not very “green” of me…but some things gotta give. My diaper bag has enough chaos to it, I don’t like adding soiled bibs and carrying them around until I can wash them. Disposable bibs are cheap and they are awesome. If you’re not sold on the idea, just grab one package of them at the Dollar store and keep them for emergencies. They WILL come in handy one day, trust me. Diapers. If you are taking a lengthy trip, consider only packing enough diapers and wipes to last you the first couple of days. Buying more once you get to your destination will save you a lot of packing space! I usually do this if we are going to be gone longer than a week. Pack some snacks. Do I even need to include this one? I think most moms know that food is power, but sometimes my brain cramps up and I end up leaving the house without a snack in tow. Very bad idea. Especially in our case when we are driving almost 2 hours at least every other weekend. Okay, and don’t give me flack for this…but mini M&M’s are seriously genius. My toddler got one of those cute tubes from Grandma for Christmas and they saved us on our trip back. I let her earn one every few minutes and they last FOREVER. And they are so tiny that I don’t feel guilty giving her 20 of them by the time we finally arrive home. She went from panic-attack-toddler to “I’m-so-happy-I-can’t-stop-giggling” in less than 3 seconds. And we would play a fun game where I would hide one in her jacket pocket and then she would take the next 30 seconds trying to find it. It’s all about rationing folks. Pack-N-Plays. If you are staying in a hotel, ask them if they have one. I have never had a hotel say they didn’t and this will save you a lot of trunk space! Toys. I did a post earlier on some fun games to entertain kids in the car, but we take along toys as well! I always try to bring something new for trips. Even if it’s a trip to the dollar store to get toys that won’t last longer than the trip, this will be worth your time. I like to get my toddler fun books to play with (She likes the Poke-a-Dot Books right now), or glow-in-the-dark items for night-time driving. If the toy you are considering bringing makes noise, you had better make sure it’s something you can handle in repeat mode. Because that’s exactly what you are going to get if you are in the car, and there is no escaping it! With a little planning and organizing ahead of time, packing and traveling with kids doesn’t have to be a kick in the rear! I’m glad that we travel so much because it is forcing me to be a planner. Which in the history of my life has never been me. Hoorah for growth and development! Bring it on 2014! What are some of your tips for packing and traveling with kids? If you’re traveling sometime soon, don’t forget to print our Travel Scavenger Hunt! I do this for our vacations and my 12 yer old said its the best idea. I keep deflated balloons in my purse as they are super light and portable and great to entertain kids with in case of an unexpected delay or long wait in between flights. That is such a fabulous idea Kristine! 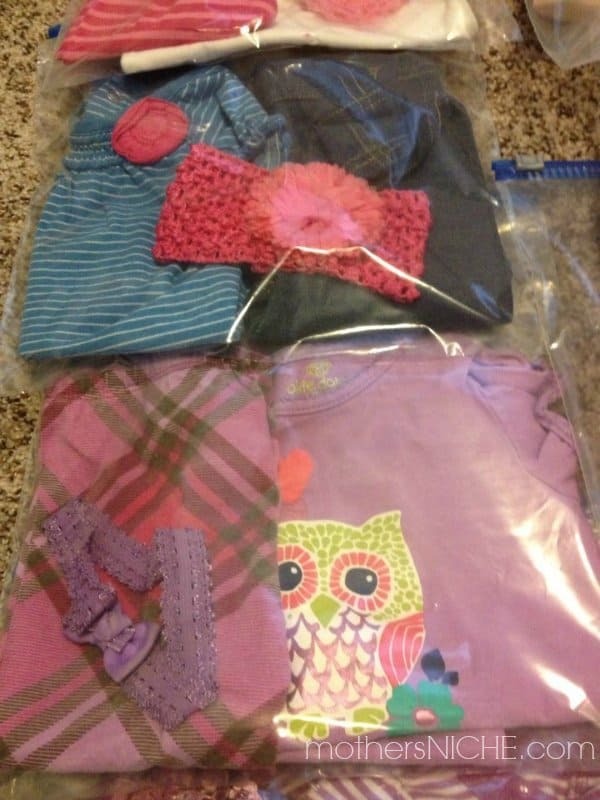 I think the packing idea of putting kids outfits in plastic bags is pure genius. I remember a family trip down south for a big family reunion. We drove for two days and stayed for eight days. My daughters were seven and nine. I recall that when my sisters saw my kids outfits packed so neatly and coordinated, they quickly labeled me as crazy. Well, I had zero arguments about what the girls wore, did not have to assist them is appropriate clothing choices and by the end of the trip, my girls still looked presentable because their outfits matched, were in good shape and we enjoyed a peaceful trip. At home, I let them choose. But on a trip, it just makes one less headache. Not so much for my “critics”. What size baggies do you use? I’m packing my daughter for 1 week away at summer camp and I believe this would be a great way to pack her outfits. These suggestions will definitely help make traveling easier. Pinned. I AM TOTALLY FREAKING OUT!! I just found out that we will be taking our family trip half way across the country instead of only a couple hours away. At first I was freaking only a little, I thought we would be driving the 24 hours. This I was okay with because we could stop frequently to stretch our legs and let the little ones play. Did I mention we have a 2 year old and a 3 year old? ANYWAYS my mother in law has just informed me that she purchased plane tickets for all of us. So we will be driving two hours to the airport to fly for 4 hours and then drive another 5 hours to our destination. I might seem unreasonable to be so concerned with the flying. I am soon turning 25 and I HAVE NEVER FLOWN, nor have I ever intended to get on a plane in my life. Now I find out that my first time getting on a plane I will be with my babies. They are going to sense my nervousness which worries me even more. I have almost 4 weeks to plan and pack for this trip. SOMEONE HELP!! I need advice on this one. I travel from Australia to the US every second year for about 8 weeks at a time. I have been using the zippy bag idea for about 7 years. I have never left anything in the US because there are exactly 7 outfits for my son and 7 for my daughter. It’s a genius idea! Wish it was mine, but I found it on Pinterest too.